SpaRitual and me, we have a very interesting relationship. I’ve been having one of those irrational loves for a brand that I haven’t tried before just based on its philosophy and packaging. Speaking about philosophy, SpaRitual has an approach to beauty that sounds like this: slow beauty for a fast world. It always shares these amazing, earthy, and spiritual inspirations based on every nail lacquer color and collection. I do believe that you can express your feelings and thoughts using your clothes and makeup, so these inspirations make sense to me. 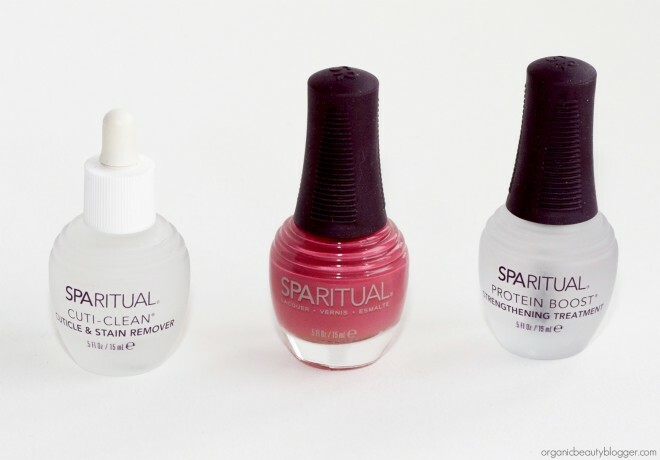 All SpaRitual nail products are 5-free and made from recyclable materials. 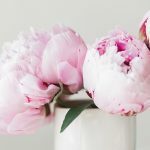 Every time I see them on some beauty blog or Instagram, all I think is how beautiful they are and how badly I want them. Last month, I accidentally found them at a beauty expo and was beyond happy to finally try these goodies! Look at the impressive bunch I’ve bought: Cuti-Clean Cuticle & Stain Remover, Nail Polish in Bon Appetite, and Protein Boost Strengthening Treatment. It’s an enormous helper for a mani-pedi, especially if you have very dry and chipped cuticles. I usually use oils to soften my cuticles, but this remover took my manicure to a whole new level in just a few minutes. I was told by a lady at the expo to use this one sparingly and leave it on my cuticles for less than five minutes (instructions advise the same). It’s a super fast way to soften your cuticles completely so you could get rid of them. 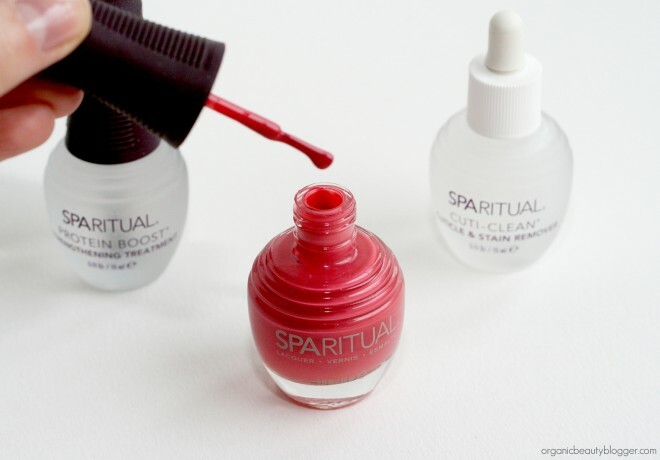 A long-lasting, clear liquid created to save and strengthen brittle nails. It covers nails like a clear nail lacquer and prevents from splitting and peeling. Also, it can be used as a base coat for any nail polish. A charming and bright mauve red color. 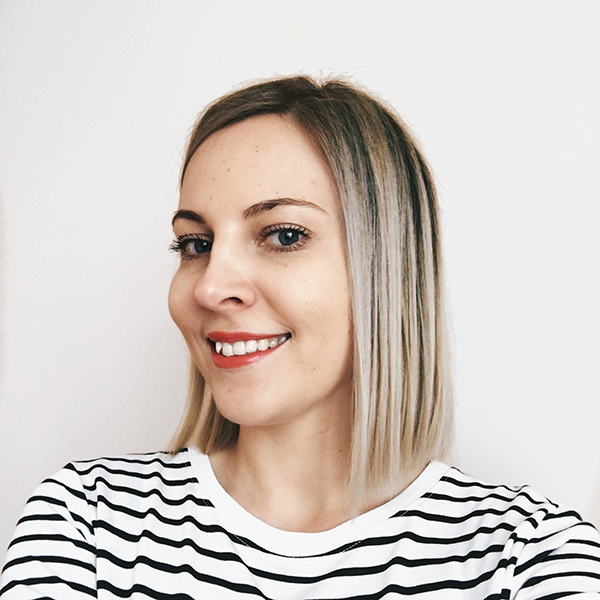 It goes on not streaky and gives a fresh, bold color even from a single application. This nail polish lasted me four days without base and top coats, so the longevity is awesome. You can see in the photo that Bon Appetite has a glossy and shiny finish, so even taking photos without flash, it was impossible to avoid light reflections. 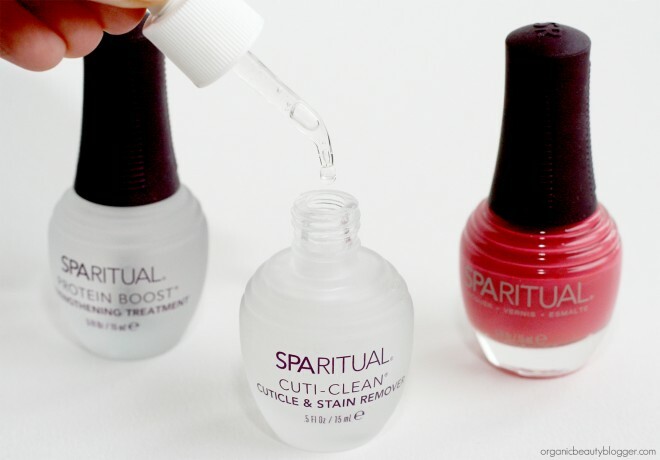 Have you tried SpaRitual nail treatments or lacquers? Which one’s your favorite? I love the colours its gorgeous! My nail varnish never lasts more than a couple of days, even with a top coat no matter what I use so I’m always looking for new colours! 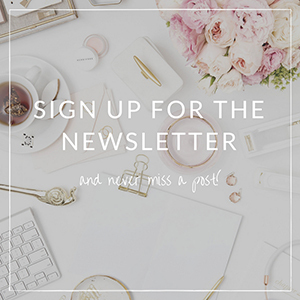 How are you liking your new blue SpaRitual nail polish?